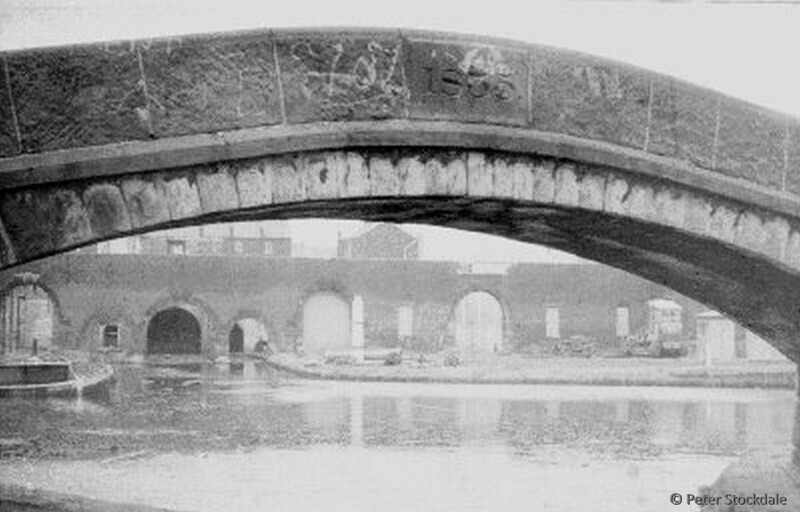 The "Weaver's Rest" towpath bridge across the junction with the Peak Forest Canal at Portland Basin. 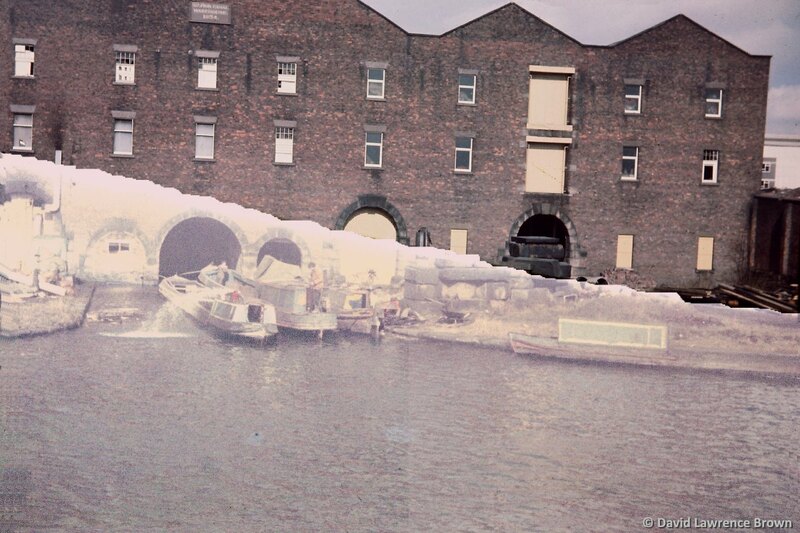 Portland Basin, showing the Ashton Canal Warehouse after the fire which destroyed it in 1972. 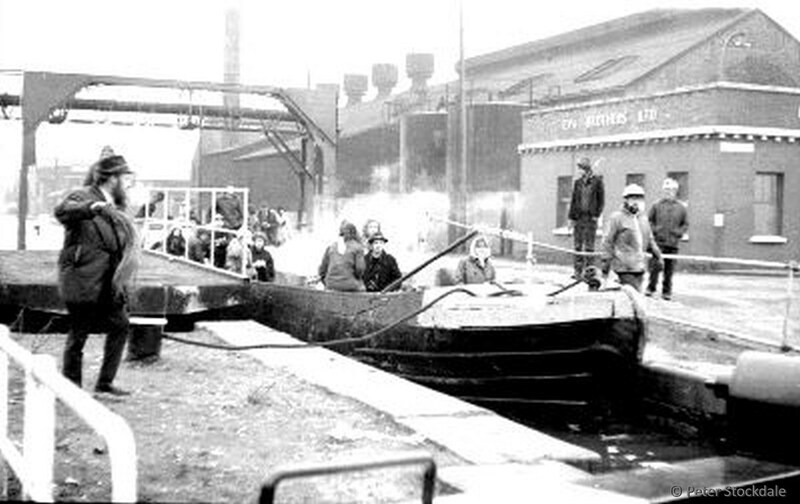 The boat in the picture is Maria, before her conversion to a trip boat. 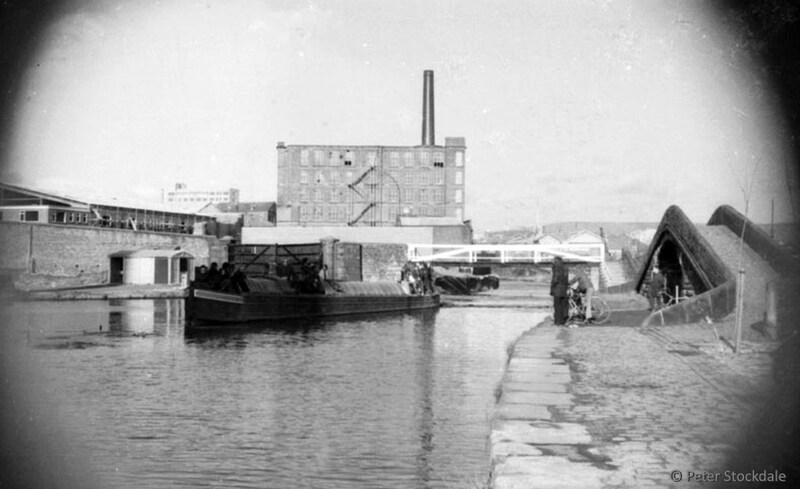 Portland Basin, showing the Ashton Canal Warehouse. 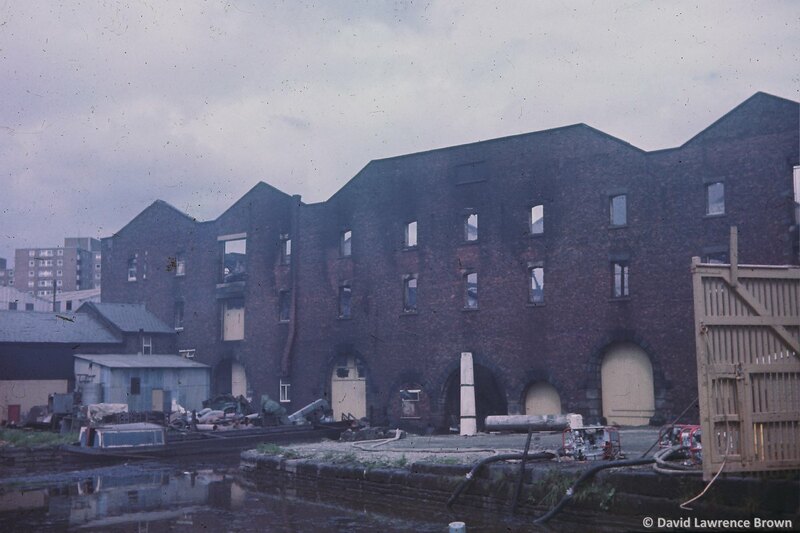 Portland Basin, showing the remains of the Ashton Canal Warehouse after the upper storeys had been demolished following the fire. 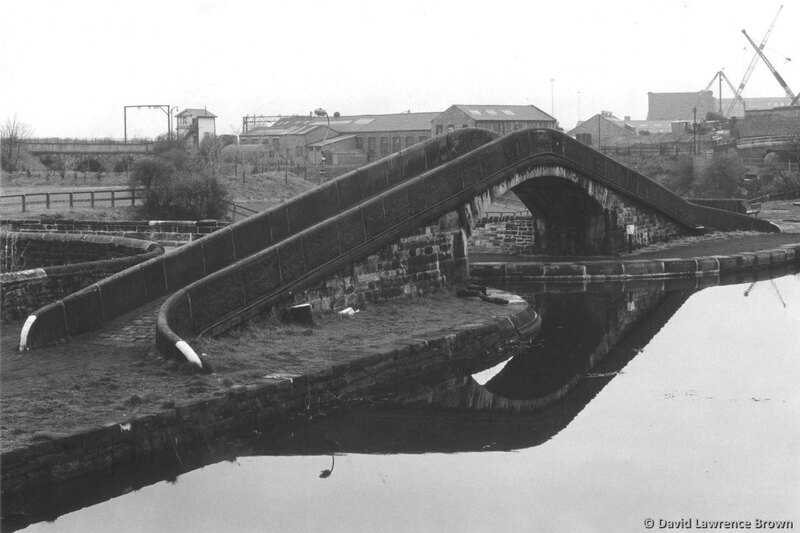 Crabtree Lane lock (Lock 13) and swing bridge, on the Ashton Canal at Clayton.